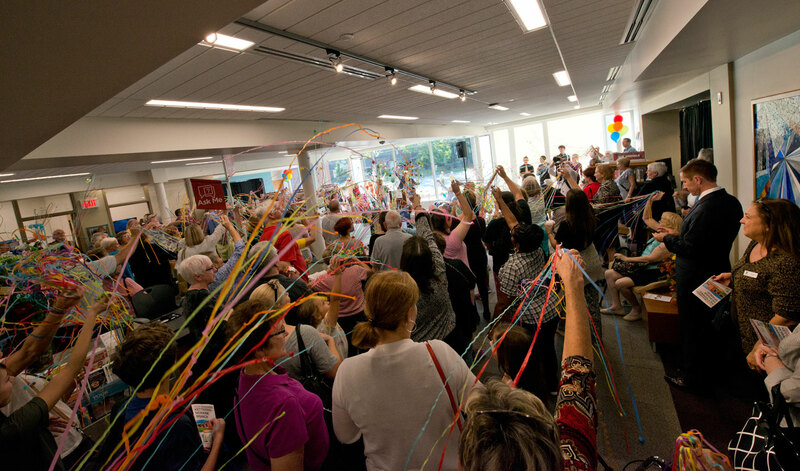 Today marked the grand re-opening of the Kettering Moraine Branch Library – Ruetschle’s second project as part of Dayton Metro Library’s ambitious $187M reconstruction plan. The project features a flexible community room, quiet reading room, gizmo-themed children’s area, and outdoor reading terrace. Three original art installations by area artists are also featured in this landmark facility for the residents of Kettering and Moraine.